Baby Saphira!!!!. She is eating a rata. 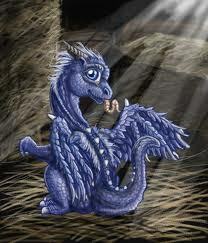 Wallpaper and background images in the eragon club tagged: eragon dragon saphira cute brisingr. This eragon photo might contain signo, cartel, texto, pizarra, letrero, galago, bushbaby, gálago, bush baby, baby bush, and flor de lis.